Summer is right around the corner and one family activity we do all summer long, is hanging by the water. It is a family tradition to have pool BBQs, boat days and Key West trips. Besides quality family time, one very important it important to you to have my kids learn how to swim at a young age. My mom has always said that when I was growing up I was a “water baby”. That I loved the water and was always drawn to it. I can tell that my children are the same exact way. There are always tears from them come time to pack up and head home. 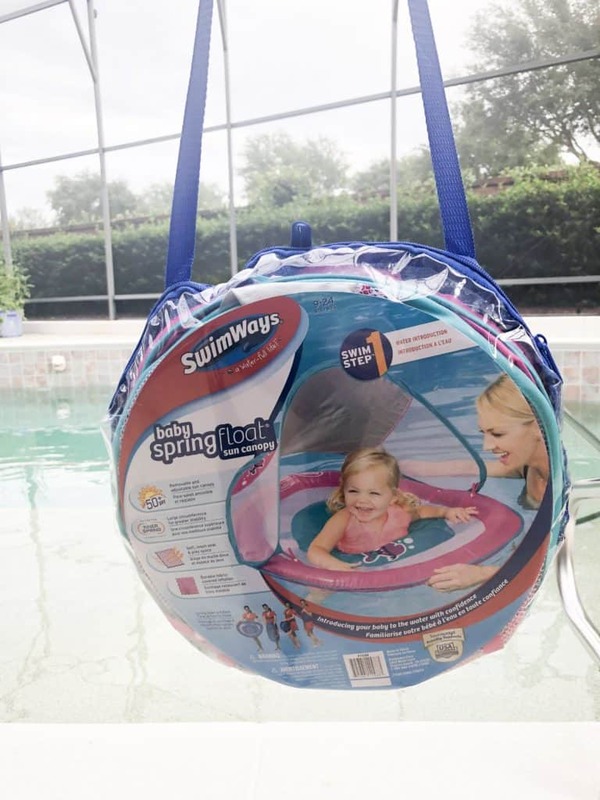 We brought our SwimWays Baby Spring Float Sun Canopy on a recent family trip and my little babe loved it. 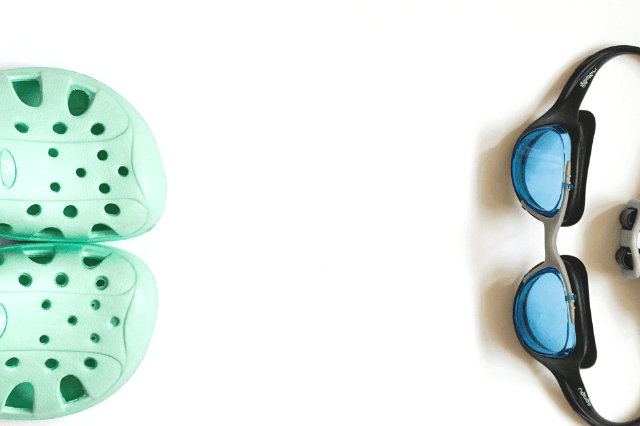 SwimWays is a leader in helping children learn to swim. They are known for promoting water safety. 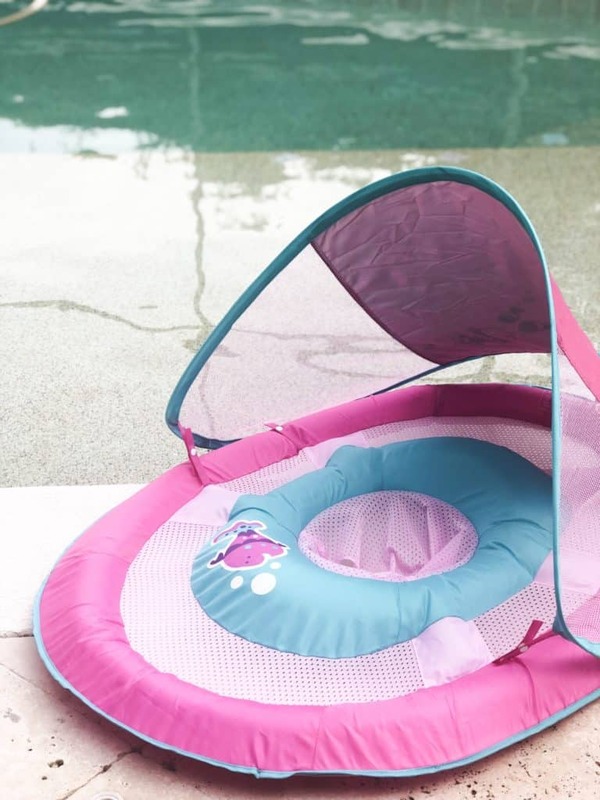 Baby Spring Float Sun Canopy for babies 9-24 months is the #1 selling baby float in the U.S. I’m all about portability, this bad boy folds flat into three compact circles for portability and storage, plus includes carry bag. My little babe is a teether. She starting teething when she was 3 months old. If she can reach it, she will chew it. The fabric covered inflation and a soft mesh seat for durability and comfort is perfect for her. The hot summer South Florida sun can be brutal, the adjustable and removable canopy with 50+ UPF sun protection is perfect. The water was cold in the deeper area which made for a not so happy baby. We are using the baby spring float to help teach my little babe to kick her feet in the water. She loves to be able to float and keep her head above water. We have been using the baby spring float for years. 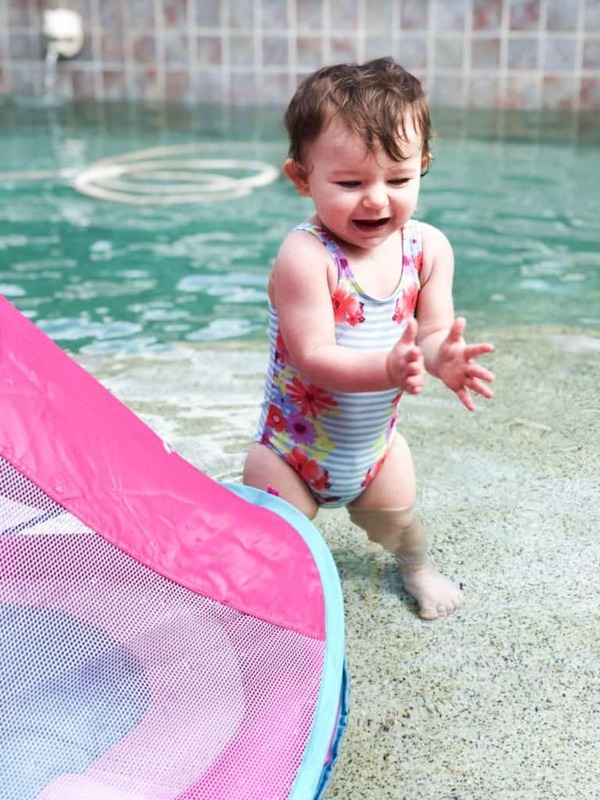 We first discovered the baby spring float sun canopy when my tiny tot was just a little babe. 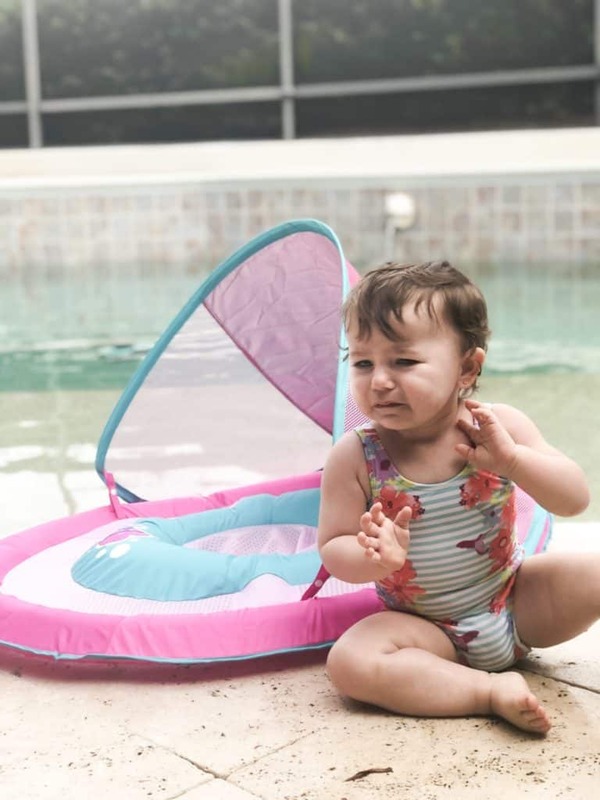 Check out their Teach Me To Swim program, there are tons of resources and tools to help navigate your way through teaching your little one to swim.